The prevalent and most used type of Internet in Uganda currently is 3G via a USB modem or dongle. Have you found yourself somewhere; may be on travel, or at home, and you need to share your Internet connection with a friend or family members via WiFi? Do you wish you could just plug in your laptop, and just use your WiFi-enabled phone or tablet to surf? Are you a Linux user? 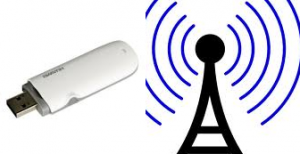 Well its very easy to setup a WiFi hotspot for yourself using free and open source software. Also, you need to setup the Wireless interface device. In this post I am using an IP address of 172.16.0.1 for my Hotspot and ‘wlan0’ as the device name e.g. Now edit the configuration file for hostapd to suit your needs. After you have modified and saved the above file, enable hostapd services, so they also start during boot time. You will need some facility to dynamically offer IP addresses to clients of your hotspot. One very useful tool is called dnsmasq. Dnsmasq is a lighweight DHCP and DNS server. You can install it using your package manager e.g. Once you are connected, and gateway has been setup, your clients should be able to connect to your Hotspot using the SSID and passphrase you setup above.